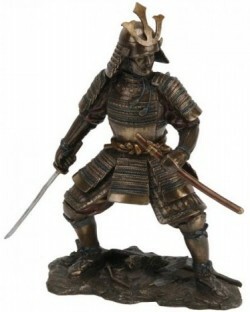 Polished bronze Samurai with sword unsheathed. Eye-catching and weighty cold cast solid bronze figurine. Highly collectable, and make great gifts. Nicely boxed. 23 cm (9 inches) tall. 1kg approx.